A mix of clouds and sun. High 64F. Winds NNE at 5 to 10 mph..
Dee Ray Gardner, 93, veteran Elko broadcaster who was often heard to say that he had “never worked a day in his life”, died January 3, 2019. D. Ray was born November 27, 1925 in Delta, UT to William N. and Alice L. (Iverson) Gardner. His family moved to Salt Lake City in 1932, where he attended school. In 1942, he joined the United States Maritime Service and served in the Merchant Marines in the Southwest Pacific Theater of Operations in World War II. He enlisted in the United States Air Force and served during the Korean conflict as an airborne radio operator. In 1949, he met and married Virginia “Ginger” Humphries. They were married for 59 years before her death. 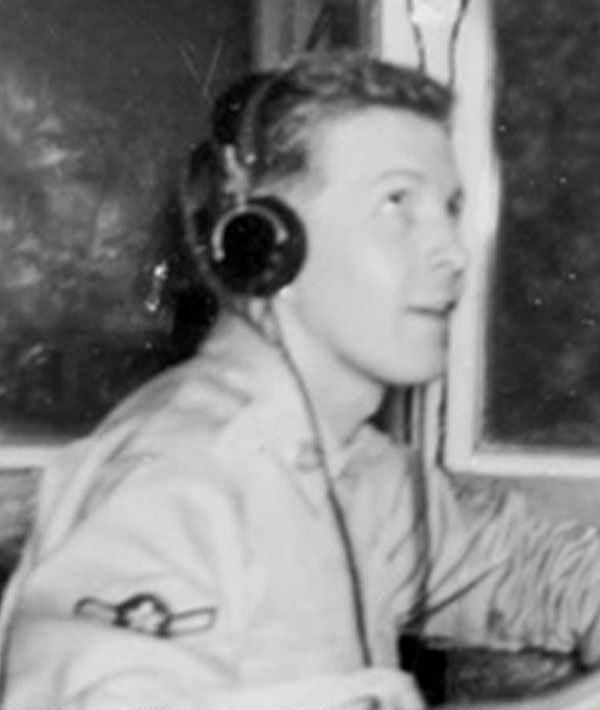 Following his discharge in 1952, the Gardners moved to Salt Lake City, where D. Ray continued his education at the University of Utah and began his career in radio and TV broadcasting. The family moved to Elko in 1968 when D. Ray was hired as general manager of Elko Broadcasting Company, operator of KELK radio. The Gardners purchased Elko Broadcasting Company from the original owners in 1971, KWNA in Winnemucca in 1972, and added KLKO-FM (Elko) to the company in 1983. D. Ray was active in several organizations, notably Lions Club and B.P.O. Elks. He was a member of the Nevada Broadcasters Association and was inducted, as part of the inaugural class, into its Hall of Fame in 1997. He received the Nevada Broadcasters’ Pinnacle Award, for lifetime achievement, in 2014. For his dedicated coverage of local sports, he was inducted into the Elko High School Sports Hall of Fame in 2011. Most recently, D. Ray was listed among the Elko 100, One Hundred Figures that Shaped Elko’s First Century, as reported in the Elko Daily Free Press. D. Ray is survived by his four children, Danna (Pepper) Sturm, Joanne (Phil) Widener, Laura (Tony) Gunter, and Paul (Ketra) Gardner, nine grandchildren, ten great-grandchildren, eight nieces and nephews, and his four-legged best friend “Dammit”. Memorial services will be held at 2:00 PM, Tuesday, January 8, 2019 at Burns Funeral Home, 895 Fairgrounds Road, Elko, NV. Reception will follow. Interment will be in Salem, UT later. In lieu of flowers, donations may be made to the Elko Lions Club Camp Lamoille Recovery Fund, P.O. Box 13, Elko, NV 89803 or to a charity of your choice.